Though ‘Once Upon A Time in Mumbaai Dobaara’ may not have set the cash register ringing in India (courtesy Chennai Express), it definitely ran to packed houses in Oman. 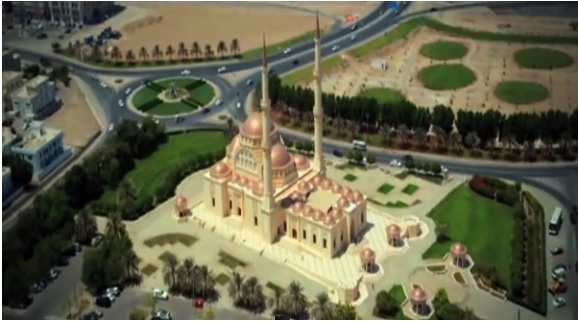 This Bollywood movie was shot extensively in the sultanate of Oman. In recent years, Oman also has been opening up its doors to the world (and more specifically to India) as it tries to reduce its dependence on ‘Oil and Natural Gas’ as their main source of revenue. The country now also plans to focus on inbound tourism, both from leisure as well as business travelers, and Bollywood is definitely a good place to start. The only reason (I can think of) probably why Oman is not there on the Indian tourists to-visit places is because Indians have an image about Oman (muscat in particular). For many years that was a place where several blue-collared Indians went to work, to make more money. So most Indians really don’t see it as a place for holidaying. But go through the pictures here and the bit on Oman tourism and you’d definitely change your mind. Oman offers a wide spectrum of experiences for the avid traveler. Mountain climbing, paragliding, scuba diving, camping under the stars in the desert, sightseeing or simply strolling on the vast, empty beaches scattered between rocky cliffs, you’ll be amazed to see what Oman has to offer. Bollywood movies that have been shot in Oman include – Ajnabee, Awara Paagal Deewana, Sachein, Fool N Final, and Once Upon A Time in Mumbaai Dobaara. The sizzling song ‘Jiya’ from the movie Gunday (featuring Priyanka Chopra, Ranveer Singh and Arjun Kapoor) was shot in the hilly terrains of Oman. Here’s the video of the song. Once Upon A Time in Mumbaai Dobaara was shot extensively in Oman. The film was shot at the Qantab Beach, Qurum Corniche, Central Business District and The Shangri-La Barr Al Jissah Resort & Spa. Akshay Kumar who’s the leading star in “Once Upon A Time in Mumbai Again” finds the city of Muscat to be quaint, charming and picturesque. 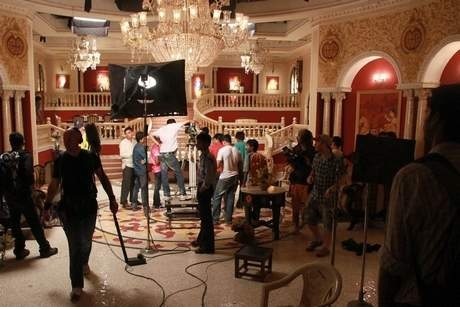 Part of “Once Upon A Time in Mumbai Again has been shot in and around Muscat. And Sonakshi Sinha is eagerly waiting for her next trip to this beautiful country of Oman. The movie discovers Oman’s pristine coastline, rugged mountains, awe-inspiring deserts and abundant wildlife. 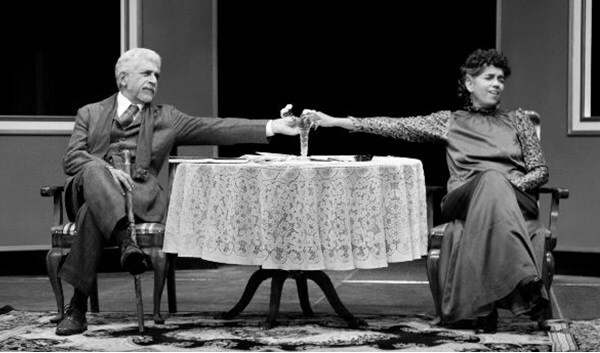 National airline “Oman Air” provided all the transport and logistical services needed for the movie’s 100+ cast and crew. There’s no doubt that this place has a beautiful old-world charm about it. Oman intends to promote the rugged terrain of the Sultanate, & attract more visitors from far beyond Indian shores by leveraging the global appeal of Bollywood films in general. Officials of Oman’s Tourism Ministry, as well as national carrier Oman Air, were in Mumbai recently to promote the natural beauty, picturesque towns and cities, rich culture, and historical attractions of the Sultanate. The Ministry has appointed a local representative in Mumbai to promote the Sultanate as a destination for, among other things, adventure holidays, film productions, and lately, weddings as well. 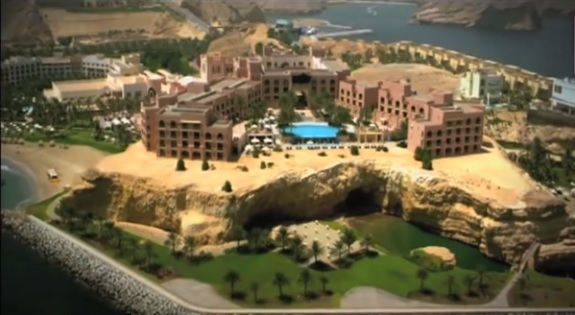 Besides Muscat, the government is promoting areas surrounding it. Nizwa (cultural capital of the country) offers a great mountainous location. Wahiba Sands (about 200 km from Muscat) offers flexible accommodation options, ranging from luxury to tented rustic experience. Salalah in the south is the only location in the Middle East that receives the Indian Ocean monsoon. 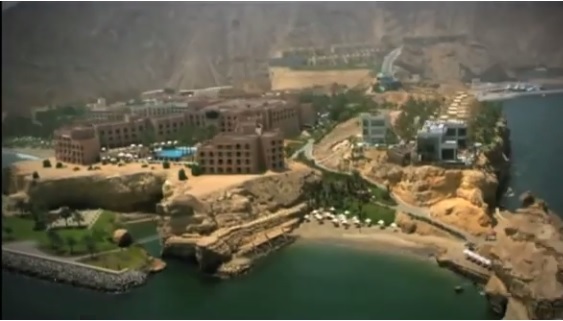 Also Read: Oman Tourism global advertising campaigns. There’s no doubt that Bollywood and the Indian entertainment industry is growing big time, and people from far-off countries want to be a part of that growth. Omani girl ‘Asma Mohammed Rafi’ did get to experience what being famous is like. She was one of the contestants in ‘Sa Re Ga Ma Pa’, and even though she didn’t win the show, she did win a lot of hearts. So much that she has been offered a two-year contract with Zee TV and will be doing shows worldwide on behalf of ‘Zee’. Even the money offered is not bad, she will be earning between Rs.200,000 to Rs.400,000 per show as she travels with ‘Zee’ to various countries such as Thailand and South Africa. Oman, officially called the Sultanate of Oman, is bordered by the United Arab Emirates (UAE) to the northwest, Saudi Arabia to the west, and Yemen to the southwest and also shares a marine border with Iran. Oman is also known for natural phenomena such as the Al Hoota caves, the Khareef (monsoon), which is unique to the southern tip of Arabia and brings cooling relief from the summer heat. It’s also a very friendly place and people are quite welcoming there. Watch sunset on the DESERT: Deep red to rich honey color sand dunes, stretching as far as the eye can see. Trek in the WADI SHAB: Huge rock boulders, cliffs, waterfalls and natural pools, one of its kind attraction. MUSANDAM Mountains: Beautiful and desolate, separated from the rest of Oman by the United Arab Emirates. Paraglide in ZIGHY BAY (Musandam): Unique luxury resort, only hotel where you can ‘check-in by paragliding’. Camp on the TIWI white beach: 80km from Muscat, its a popular beach between Muscat and Sur. Great place to stargaze and fall asleep to the gentle lapping of the waves.